UNITED STATES: Amazon Web Services (AWS) has signed a power purchase agreement (PPA) with a second project in Ohio, its fifth in the US. 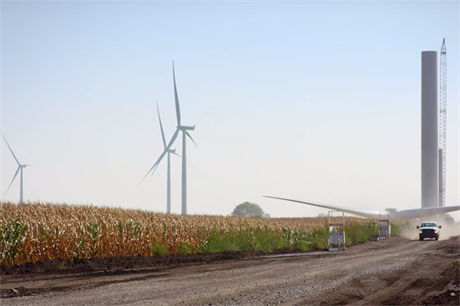 EverPower's 189MW Scioto Ridge project will be renamed Amazon Wind Farm US Central 2 and will power AWS' cloud data centres in Ohio. The project is set for construction in early 2017 and completion by the end of that year. It will be installed in Hardin County, north-west Ohio. EverPower has seven projects operating in four states, with a combined capacity of 752MW, and a pipeline of an additional 2GW, AWS said. AWS' first Ohio project was announced in November 2015. The 100.8MW Amazon Wind Farm US Central project is due for completion in May 2015, AWS said. It will use Gamesa's G114-2.1MW turbines. Last month, AWS signed its largest PPA to date by buying the 90% of the power from Lincoln Clean Energy's 253MW project in Texas. "We remain committed to achieving our long-term goal of powering the AWS Cloud with 100% renewable energy," said AWS vice president of infrastructure, Peter DeSantis. Amazon also has deals with projects in Indiana and North Carolina and is buying power from a solar project in Virginia.